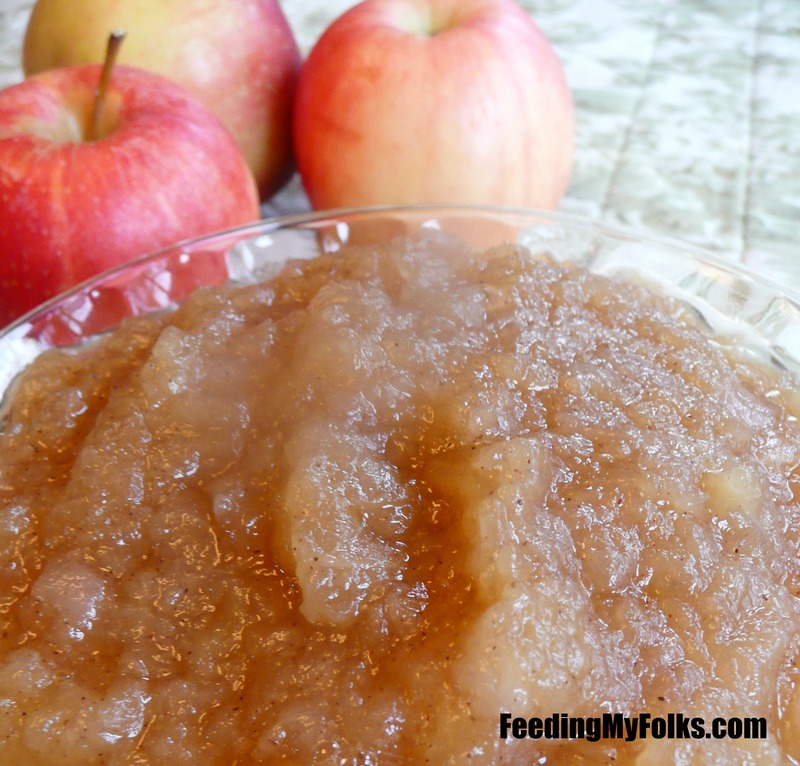 Since I have so many apples laying around these days, I figured I’d share another simple yet flavorful apple recipe that should be a staple in your recipe box: homemade applesauce. If you’ve never have it, you don’t know what you’re missing. The jarred variety doesn’t capture that in-your-face apple deliciousness that you can only get from a freshly made product. If you can convince me otherwise, feel free to shoot me an email…but you definitely got your work cut out for you. Applesauce takes me back to my childhood lunch box when my mom would slip a cup in with my sandwich. Not going to lie, when I was in elementary school I didn’t exactly appreciate the healthy snack (I would have rather had Dunkaroos instead of fruit haha)….but it’s one of those things that always reminds me of growing up. In fact, I don’t think I can remember a time in my life when we didn’t have a jar of applesauce in the house. It’s just always been in our recipe and pantry rotation and always will. These days, I gladly eat it as a snack, part of a meal, or even as an ingredient in another recipe. 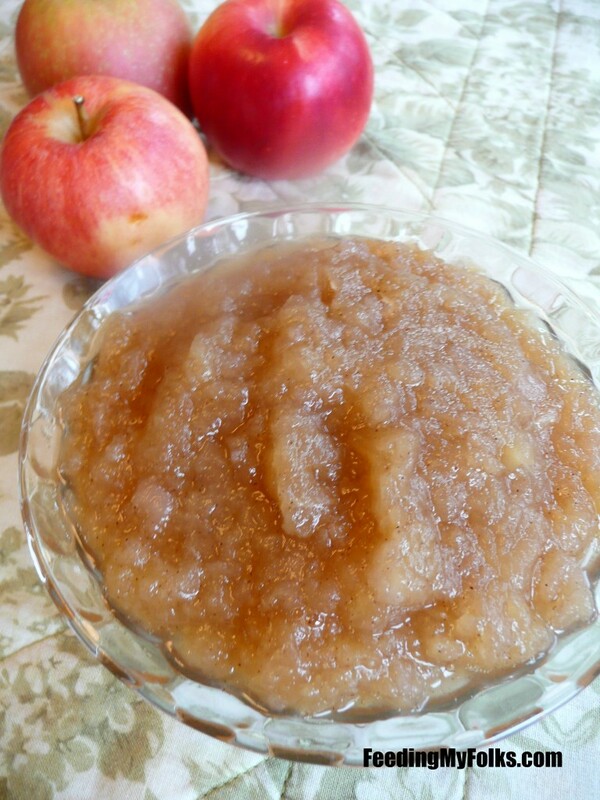 This applesauce is slightly sweet from a sprinkling of brown sugar and cinnamon that simmers with the apples on the stove. The reason I use brown sugar is to give it a deep, caramel-y flavor. Then the cinnamon is warm and fantastic on a fall day. Depending on what consistency you enjoy, use a potato masher, food processor, or blender (immersion or table top). I always use the masher for a rustic texture, but blended is pretty great too. In a large saucepan over medium heat add all ingredients. 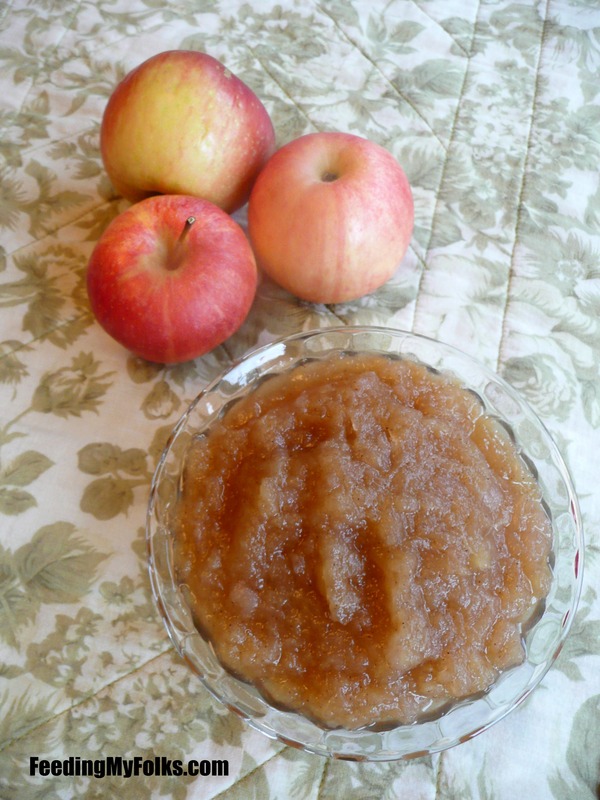 Cover and cook for 25 minutes, or until apples are softly tender. Cool completely and then mash/blend to desired consistency.